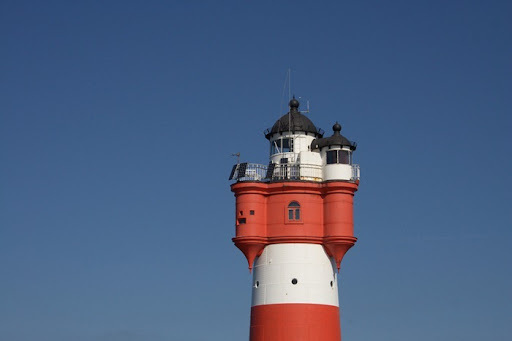 Described by some as the “loneliest hotel in Germany,” the Roter Sand lighthouse, some 30 miles off the coast of Bremerhaven, Lower Saxony, has been welcoming guests for over 10 years. But the lighthouse itself is 125 years old. The Roter Sand was built in 1885, and was considered a technical marvel at that time as it was the first ever structure built on the sea floor at a depth of 22 metres. 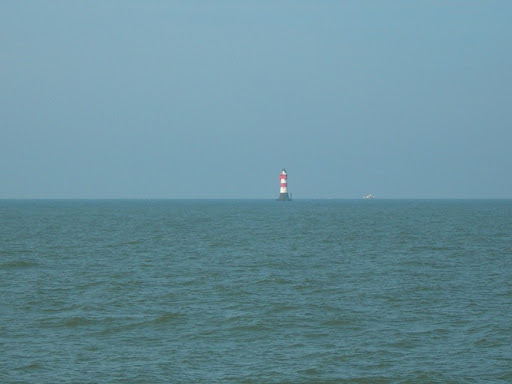 For almost 80 years the red, white and black lighthouse was the first thing sailors saw on their way into the port city, and the last thing millions of emigrants saw before their ships reached the North Sea on their journey to the New World. 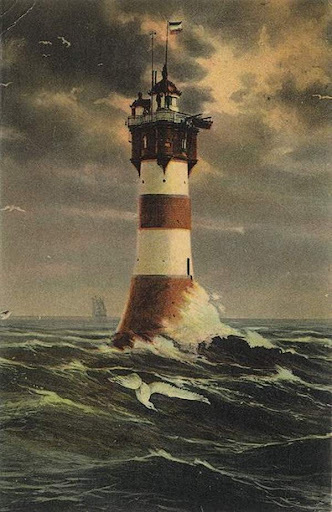 But by 1964 its steel foundations became unstable and the lighthouse was decommissioned. 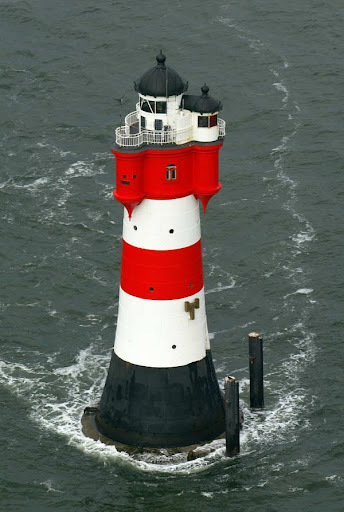 In1987, a spectacular rescue action restored the 31-metre tall building’s foundation, and following a restoration of the interior, the German Foundation for Monument Protection (DSD) worked to open the protected lighthouse to the public. Since the first visitors scaled the stairs of the Roter Sand in 1999, the lighthouse has welcomed some 5,500 day trippers and 800 overnight guests. Earlier the lighthouse keepers were hauled up to the lighthouse in a large basket. Guests are however afforded the luxury of a step-bridge between the structure and a tugboat to enter which is more secure than traveling on a basket. 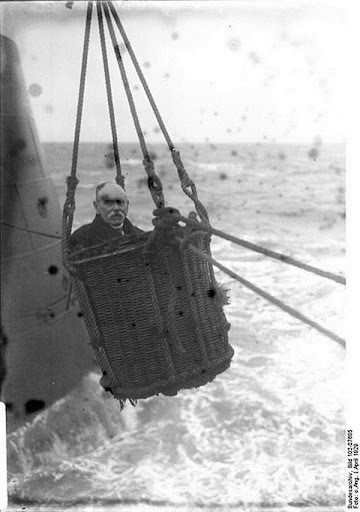 A picture from 1929 shows the use of the basket. With room for up to six overnight guests, the tower comprises one communal bedroom, a combined kitchen and living area, and a bathroom. Guests must supply their own sleeping bags and towels but will arrive to find a fully-stocked kitchen, although they must do their own cooking. There is also no electricity or heating. 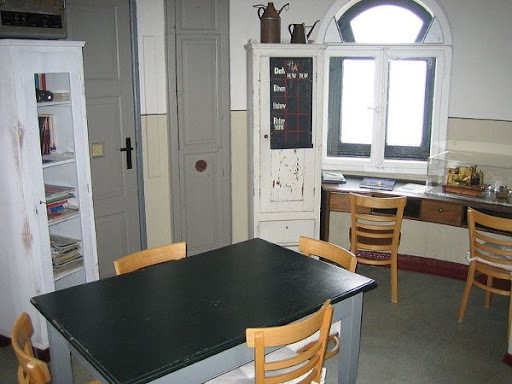 There is also a ban on alcohol in the lighthouse due to the 70 well-worn steps between this room and the toilet. Day trips to the Roter Sand run around €75. Two days with one overnight stay are a little pricier at €488 per person, and three days with two nights costs €573 per person. But those hoping to visit the Roter Sand will have to be patient. 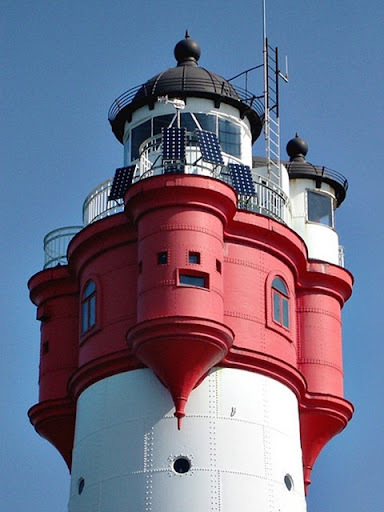 The tugboat “Goliath” can only make the trip to the lighthouse on calm seas, which means that bookings – available only June through September – can be cancelled at the last minute. The guests who stay in the lighthouse can also get stuck if the weather turns bad overnight preventing their pickup the next day. The Roter Sand celebrated its 125th birthday on November 1, last year. 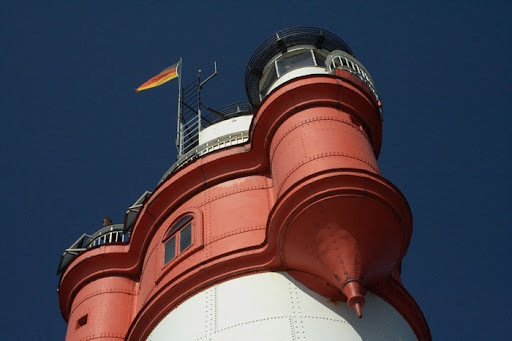 In honor of the lighthouse’s birthday, the German tourism board plans to spend €150,000 on renovations next year.